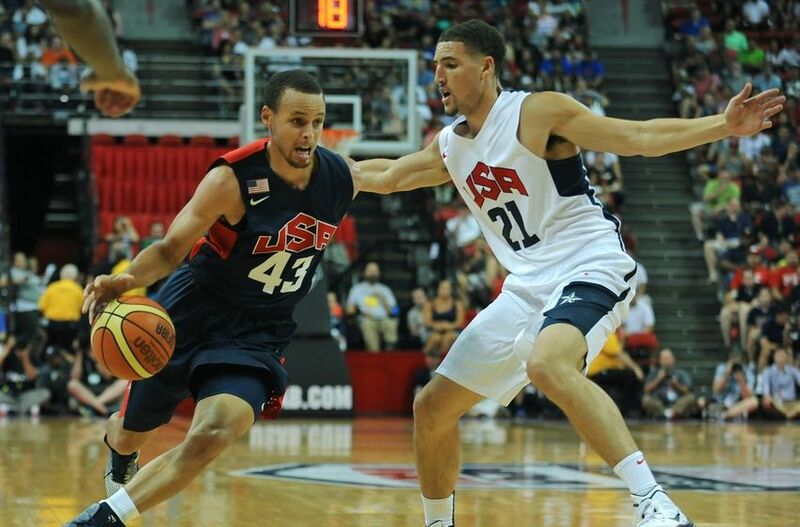 GSW: Will Stephen Curry and Klay Thompson Benefit from Team USA Experience? Ever since Paul George suffered a gruesome leg injury in the USA Basketball Showcase, there have been questions as to whether or not players participating on Team USA should’ve withdrawn to preserve their health or, if they decided to keep playing on Team USA, if they would experience more fatigue this upcoming NBA season. This must be on the mind of Golden State Warriors fans, regarding the health and fatigue level of two of the most important players on the team: Stephen Curry and Klay Thompson.